The fully renovated main level is amazing with an open flow and customization throughout. The wide open foyer greets you as you enter. To your right is a spacious living room with lovely bay windows and a dramatic architectural arch opening into the family room and kitchen. To the left is an inviting dining room with chair railing and french doors opening directly to your wrap-around porch. In the family room, french doors open to the incredible upper deck overlooking a vast preserved parkland. A 2nd lower deck provides additional outdoor entertaining space for family and friends and a private respite for you. All 4 seasons can be enjoyed on your main level living space. From the gas fireplace to relaxing on the decks, you will love this oasis. Just off the family room is the beautiful completely renovated kitchen. Custom cabinets, hardwood floors, new stainless steel appliances and gleaming granite countertops have all been beautifully added. Every inch was designed to maximize the area, giving you so much cabinet and countertop space. Upstairs offers spacious bedrooms, an abundance of closet space and ceiling fans. The master suite is wonderful. There are 2 closets and the bath has a separate shower and jacuzzi tub. The lower level has an awesome bar area with granite countertop and room for a small refrigerator or wine cooler. A renovated full bath is a plus for this level. There is a media room with outlets ready for your favorite entertainment system. A fifth bedroom with closet and sliding doors to a cute patio is great! There is also a storage room with a utility sink and additional storage in the lower level. The lower level has new carpet and nearly 800 sq ft of usable area. Backing to parkland provides beauty, views of nature and quiet peace. Hurry to make this your home. Directions:From Beulah Rd. turn onto Druid Hill Rd NE. Go to the end of the street. Follow road to the right. Home is on the left at the end of the street. Park in driveway or in the cul de sac at bottom of hill. SchoolsClick map icons below to view information for schools near 549 Druid Hill Rd NE Vienna, VA 22180. Home for sale at 549 Druid Hill Rd Ne Vienna, VA 22180. Description: The home at 549 Druid Hill Rd Ne Vienna, VA 22180 with the MLS Number VAFX868562 is currently listed at $879,000 and has been on the Vienna market for 72 days. 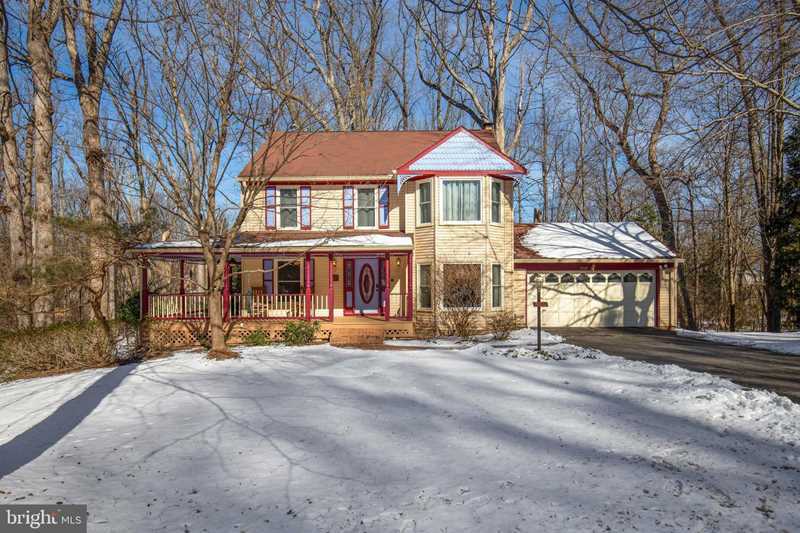 You are viewing the MLS property details of the home for sale at 549 Druid Hill Rd Ne Vienna, VA 22180, which is located in the Wolftrap Glen subdivision, includes 5 bedrooms and 4 bathrooms, and has approximately 2762 sq.ft. of living area.